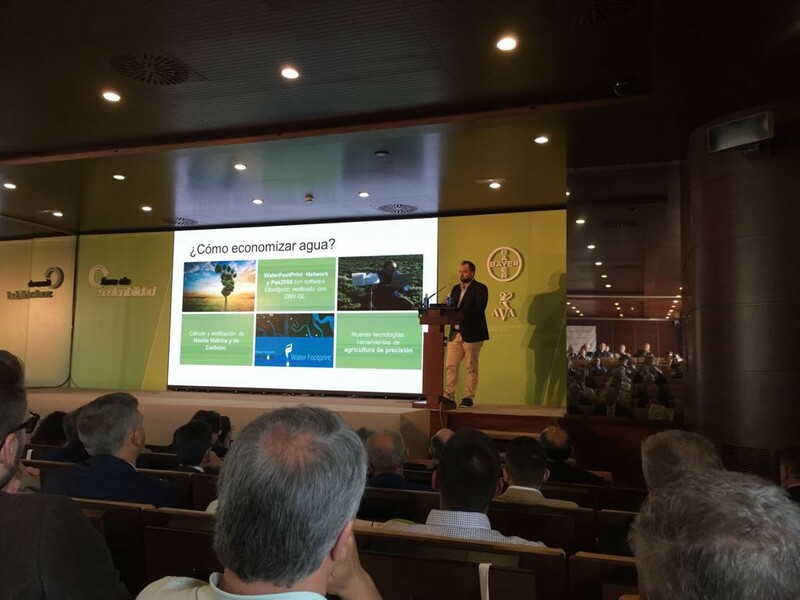 At eFoodPrint we have had the opportunity to be present at the 1st Sustainability Forum in agriculture organized by Bayer in Valencia on 05/29/18. We want to summarize in this article experiences and relevant data presented by different speakers during the Sustainability Forum. Several speakers have highlighted the great challenge facing agriculture, which is to supply more than 10 billion people in 2050, with the same agricultural area as the current one. Note that of the total land area only 3% is arable land, and therefore dedicated to agriculture. Of this 3%, 18% is directly dedicated to human food, 71% to livestock feed and 11% to energy crops. Spain is the first producer of fresh agricultural products in Europe and the eighth in the world. To make the food challenge achievable and sustainable, several speakers highlighted the responsibility of the different actors in the agricultural sector and the importance of communication and the generation of trust towards the consumer. Fernando Miranda of MAPAMA has exposed the different strategies designed by the Administration to promote the economic, social and environmental sustainability of our agriculture. At a more local and pragmatic level, one of the most relevant environmental sustainability reports has been that of Ernest Mas, technical director of VerdCamp Fruits. Ernest has presented data and very concrete practices in environmental sustainability, such as the calculation of water footprint and carbon footprint of the product and the use of refuge plants to combat the aphid, achieving with this last practice a saving of phytosanitary applications close to 95 %. VerdCamp uses the eFoodPrint ENV software for the calculation of water footprint and carbon footprint in crops such as the Watermelon Fashion. One of its main conclusions has been that thanks to technology and better management of resources have managed to reduce about 25% the consumption of water and fertilizers, without reducing the quantity or quality of production. To conclude, other data that we consider noteworthy is that the digitalization of agriculture, according to Pablo García of Bayer, means an increase in the volume of the agricultural business of 25%. It is also expected that in 2021 the global market of the digital agriculture business will amount to 15,000 million dollars. It is estimated that the benefits of this business to global agriculture in total is 330,000 million dollars.